Can a restaurant offer more than one type of food and do any of them decently? Ordinarily you’d have to say no. You want a steak you head to a steakhouse. You want pasta it’s an Italian. If it’s good at Indian it can’t be any good at Chinese and vice versa. Yet this place is. Being a curry man I never tried the Chinese but the recommendations were high and judging by the queues these were accurate. On the curry front, a tasty Dhansak, super tender Chicken Tikka and excellent vegetable dishes such as Chilli Vegetables and favourite Bombay Aloo get the thumbs up. 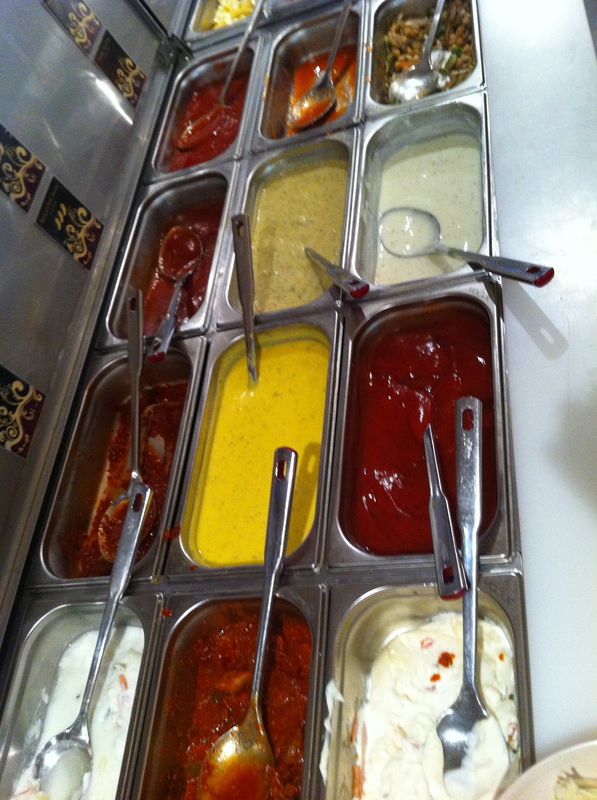 There are a great choice of sauces and pickles so mix and max accordingly. You have to order nans separately so they come fresh, with Peshwari seeming to be the speciality from the word around the serving trays. It was there I met the designer (not of this one but the others owned by the same people – there’s a restaurant called Curry just up the road and a new one serving exclusively Chinese dishes coming soon) and he says the key has been the large windows to the kitchens, giving diners full confidence in the restaurants’ cleanliness. Add in a large, open waiting area and modern, clean-cut, wood-dominated decor and they seem to have hit a winner. The only downside was the desserts, which seemed a bit of an afterthought (chocolate cake, fruit salad and jelly! ), when a simple sorbet or kulfi would have gone down a treat. The buffet comes in at £12.95 a head (£6.95 at lunchtime) with a pint of Cobra at just £2.80. Bombay Duck, 164-168 Hessle Road, Hull, HU3 3BE. Tel: 01482 210 800. E-mail: bombayduckhull@hotmail.co.uk. Open: daily noon–4pm and 5pm–11pm.